In this episode Weaver, Entrepreneur and Author Malcolm Campbell talks about his book series project called Malcolm the Weaver. 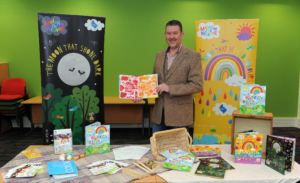 Through his books Malcolm educates 4 to 8 year old children about the art of colour and the craft of textiles. Malcolm points out the issues that we have within the textile industry today and long-term if we don’t get children, teenagers and students excited about textiles. Malcolm shares the experiences he had with his book project and his future plans going forward. Malcolm Campbell began his career in this glorious textile industry in 1970, as apprentice weaver and textile designer for A&J Macnab of Haddington in Scotland, he attended the Scottish College of textiles in Galashiels on block release, and in 1975 was awarded the City & Guilds of London Institute certificate in Textile Design and Colour, and Business Management. In 1975 Malcolm moved to Yorkshire as assistant designer with Hirst & Mallinson of Huddersfield, and in 1978 was appointed Sales and Marketing Director of West Riding Fabrics in Leeds. He moved into the retail sector, and back to Scotland, in 1983 with The Edinburgh Woollen Mill, as design and marketing Director, and in 1990, moved back to Yorkshire as design, sales and marketing Director for the Parkland Group. Malcolm was appointed Managing Director of Alexander Drew, textile printers in Rochdale in 2000, and in 2002, became marketing Director for The Woolmark Company, in Ilkley, until 2007, when he joined the Holland & Sherry Group as sales and marketing Director. Malcolm is currently working for Retail & Textile Co., on projects in Egypt with GoldenTex Wool Co., Europe and USA. In 2004 he was appointed the first ever Scotsman to be President of the Bradford Textile Society, and in 2006 was awarded fellowships of the Society of Dyers and Colourists, The Textile Institute, and the Royal Society of Arts. He has lectured on wool globally, to Australian farmers, various industry sectors, and to textile design students. Malcolm believes that textile education is crucial to the future of our industry, not only to the technicians, but to the retailers, the retail sales staff, and the consumer, to stop price depreciation, and the move to less expensive, expendable cloths, and to re-establish the versatility and the outstanding value of Nature’s wonderful luxury natural fibres. 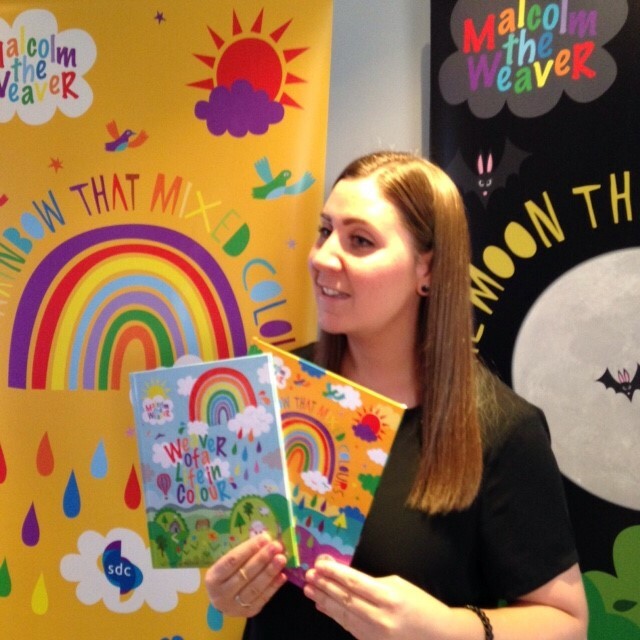 Malcolm has published two children’s books, ‘Malcolm the weaver’, to educate 4 to 8-year-old children in the art of colour and the craft of textiles. [29:34] How you can get involved in supporting the Malolm the Weaver project. I left a previous lengthy comment but it was deleted when I had to leave the site to verify The Carloway Mill’s web address. I worked with Malcolm when he served as Marketing Director for the Mill.What an asset! I was a director based in New York City with NO textile background.so you can well appreciate how essential his knowledge was to me and my clients,who, while they had textile expertise ,had no experience of working with Harris Tweed,the last of the “Cottage”industries; so named as the hand loomed product,was woven in the Weavers own home;a product whose history goes back 150 years.